Mark July 12 on your calendar and join the fight to save the Internet. We have a little over a month left until the FCC’s comment deadline on the agency’s proposal to gut net neutrality, the principle that all content on the Internet be treated equally. As a review, President Trump’s FCC chairman, Ajit Pai, has said that he wants to take a “weed whacker” to net neutrality and plans to do so by ending Title II regulation of the Internet. Without Title II regulation, big telecom companies would be left to police themselves. They’d be able to pick winners and losers online by creating fast lanes for those that they favor or those who can pay and slow lanes for everyone else. 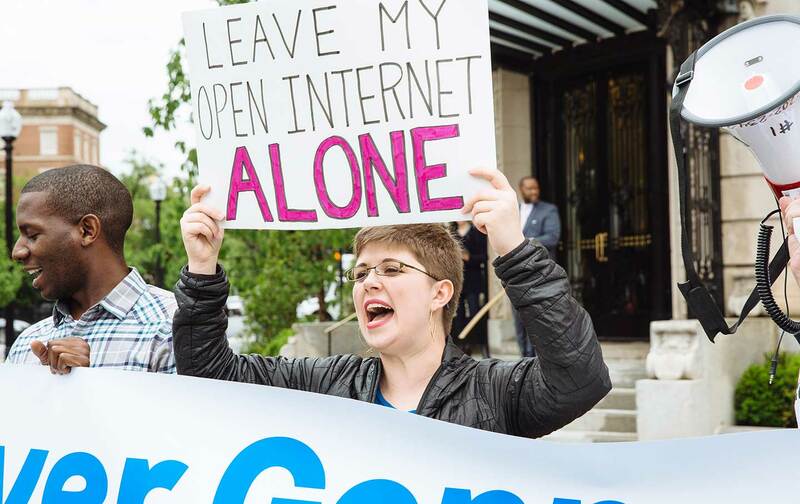 To make sure we win this fight, Internet freedom organizations like Fight for the Future, big companies like Amazon and Reddit, and progressive organizations like the ACLU, Greenpeace, and The Nation are gearing up for a big “Day of Action” on July 12, a week before the FCC comment deadline. During our last fight for net neutrality, similar days of action were crucial organizing tools, as sympathetic corporations and scrappy activists alike worked together to make sure everyone using the Internet knew that the freedoms they took for granted were in danger. 1. Save the date! Mark July 12 on your calendar and get ready to tweet, post on Facebook, e-mail, shout from the rooftops, or take action however you feel you can be most impactful. You can sign up for campaign updates here. 2. Have access to a large online audience or have a friend or employer who does? Use it to help the organizers widen their reach (after all, nearly everyone who depends on the Internet will suffer if we lose net neutrality). The campaign sign up includes a checkbox that allows you to tell organizers that you can help in this way. They’ll then be in touch with ways you can help make the day as meaningful as possible. 3. Call your representatives in Congress and demand that they fight for real net neutrality. We need everyone with any power on our side. Here’s a call tool to make it easy. 4. Keep sending comments to the FCC in support of net neutrality and against Chairman Pai’s plan, ironically called “Restoring Internet Freedom.” John Oliver’s gofccyourself.com takes you straight to the page where you can do so. 5. Show up at a Town Hall or other constituent event held by your representatives and confront them about net neutrality in person. You can use the Town Hall Project to find one near you. 6. Finally, use the form below to let us know how else you might be joining the fight and to sign up for The Nation’s Take Action list. We’ll then be in touch with more actions you can take to fight for net neutrality. What do you plan to do to save net neutrality?